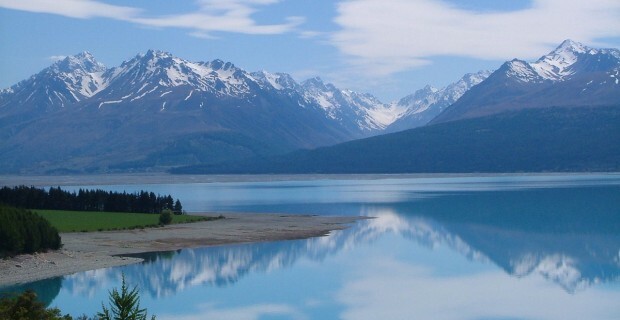 We Are Change SOURCE: Infowars “Paranoia” is one of the primary factors motivating the wealthy to purchase secret getaways in New Zealand, according to one realtor, with concerns about personal safety and global crises driving the search to acquire a safe haven in a remote location. During the Davos Economic Forum, economist Robert Johnson made headlines when he revealed that “hedge fund managers all over the world….are buying airstrips and farms in places like New Zealand because they think they need a getaway.” Johnson highlighted growing income inequality as a driving factor behind the threat of civil unrest and economic turmoil. The economist’s revelation was confirmed by realtors who handle luxury property in New Zealand who say that the world’s third safest country is a draw for the super rich due to its political stability and low crime rate. “Yes, there is definitely a degree of paranoia when trouble erupts and they start looking for somewhere that is safe and stable,” Matt Finnegan, of Sotheby’s Realty in New Zealand told the Daily Mail. “It might be that the people who don’t particularly want to migrate here still want to have somewhere to run to in times of trouble,” he added. Finnegan notes that rich clients from the US are voicing concerns about “personal safety” as a reason for buying property in New Zealand, while wealthy Brits have also, “expressed concerns about what is happening around them.” His comments are echoed by Terry Spice, director of Luxury Real Estate, who told the Mail, “We certainly see increases in international inquiries to our portfolio of luxury properties throughout the country when a global crisis, civil or global conflict and economy weaknesses are discussed.” “More and more high net worth individuals want a “safe haven” or “legacy asset” they can count on should things go wrong in their country of residence,” he concluded. As we revealed yesterday, the potential for widespread civil unrest around the globe has never been greater, both as a result of growing wealth inequality as well as political factors such as disenfranchisement with governments, social alienation and lack of community. The post Realtor: “Paranoia” Driving Wealthy to Buy Homes in New Zealand appeared first on We Are Change.